Spring is a great time to clean house. 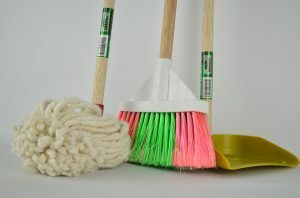 Spring cleaning should leave you feeling refreshed, clean, and productive! But what about your finances? The major holidays have passed, tax time is over, and summer is quickly approaching. Plus, it’s 2017 – it’s time to cut down on a mountain of paper clutter and finally go paperless. While you’re in spring cleaning mode, organizing and prioritizing your finances should hold a place of importance. Here at Tio Rico Te Ayuda we help our clients sort their finances on a daily basis and help them out by offering them loans when they need it. We certainly can provide our clients with advice on financial matters, but how do you spring clean your finances? Here are a few personal finance tips to get you started. For this project, you’re going to need a scanner, a paper shredder, your computer, a flash drive and that mountain you’ve been postponing organizing. First things first, figure out what you need to keep and for how long. Once you have your documents sorted, make sure to thoroughly shred anything you aren’t keeping. This step helps protect your identity from people who might dig around and find discarded documents. After you’ve scanned all your important documents, do yourself a favor and organize and label them so next year won’t be such a hassle. By naming each file you can simply search your computer for a copy. By organizing your papers into folders by year, next year you can just delete the information that’s now outdated in one easy click. These are your most important life documents. Save your entire financial folder to a spare flash drive. Keep this somewhere safe, like your home safe or a bank lockbox, so you never have to worry about losing these documents. Saving your information to a physical flash drive instead of the cloud puts one more step in between you and hackers. You can even put a password on most flash drives so not just anyone can take a peek. As a final step, consider where most of your paper comes from. Most likely this is from utility bills and bank statements, so log into your accounts and sign up for a paperless option. Now your statements will be available in your account or e-mailed to you. Paper clutter does not have to control your life, and it does not have to be a project every year. With these steps, you can cut financial paper clutter for good. As you are organizing, sorting, shredding, of course you’ll come across receipts and bills that were unplanned expenses. This can be a perfect time to revisit your monthly budget and do some spring cleaning. If budgeting is difficult for you, contact us, your local Arizona auto title loan and personal loan company. We specialize in short-term loans when you need fast, easy cash. Contact us today or apply online.